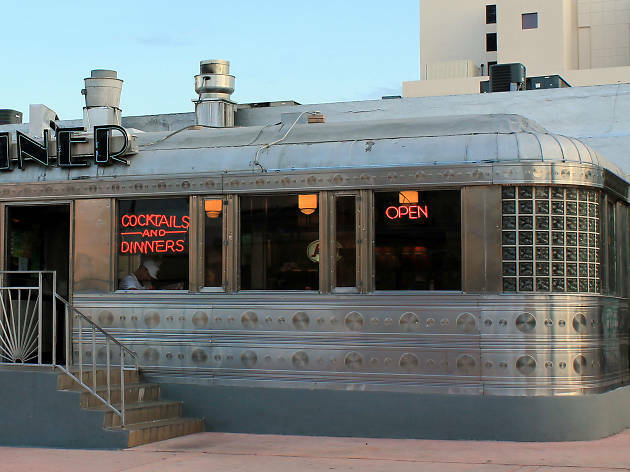 Whether you’re calling it a greasy spoon or a hash house, one thing’s for certain—a Miami diner by any other name would still smell as gloriously delicious. 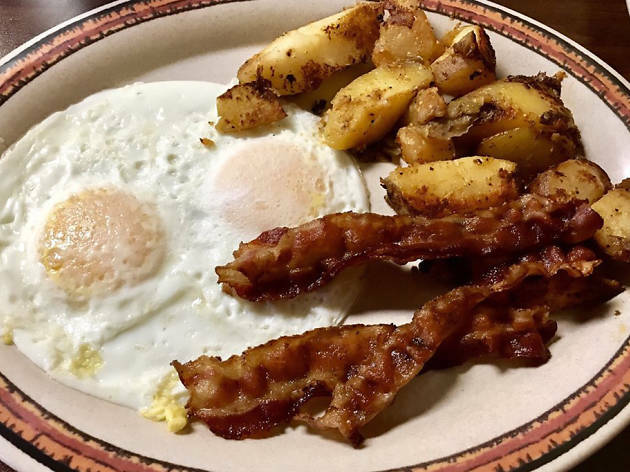 Chalk it up to the aroma of fresh-brewed coffee wafting through the air and the unmistakable sizzle of eggs and bacon frying to perfection. Getting hungry, yet? You’re in luck, especially if you’re reeling from a long night of drinking at a South Beach club. 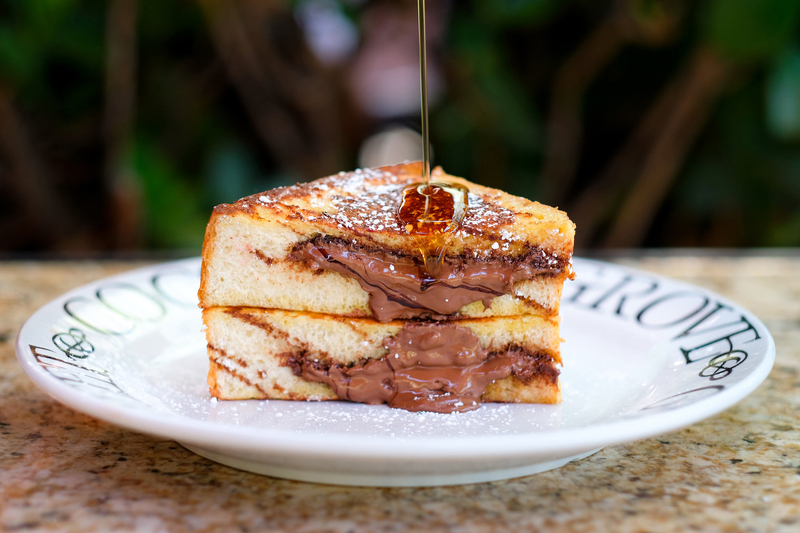 The best diners in Miami are hotbeds for Miami’s best breakfasts, stellar drunk food in Miami and topnotch deli fare. Don’t forget to order your cup of mud. The classic diner gets a modern upgrade with a European twist at this Wynwood eatery. 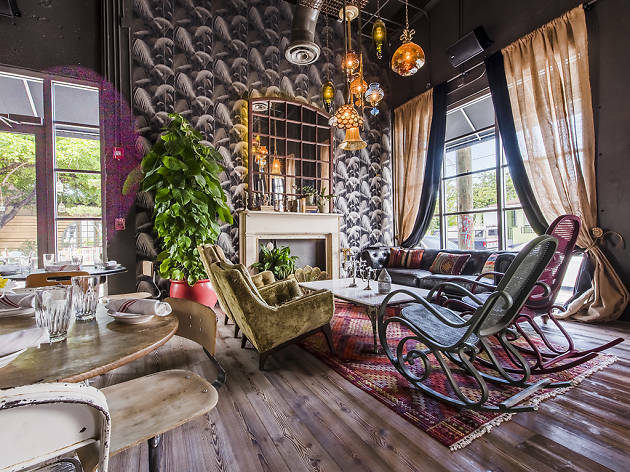 There’s a wraparound counter—befitting any luncheonette—but the tufted leather booths and fireplace mantle give it a decidedly polished air. The cocktails accompanying your braised pork belly and churro waffles are crafted by a Broken Shaker vet. In other words, you’re in very good hands. 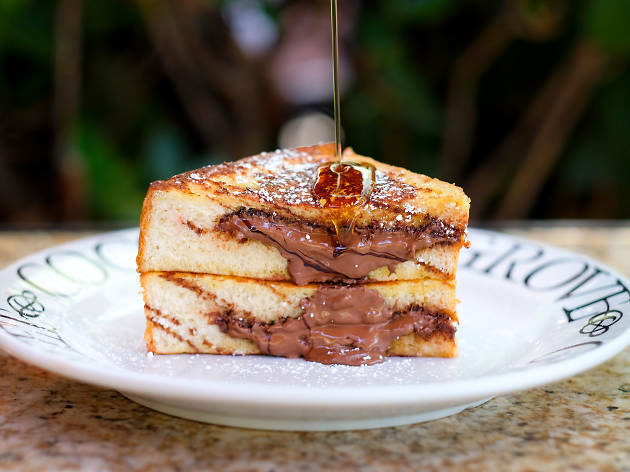 For decades, the Upper Eastside staple has attracted hungry denizens with its homespun curtains, pleather booths and all-day breakfast classics. 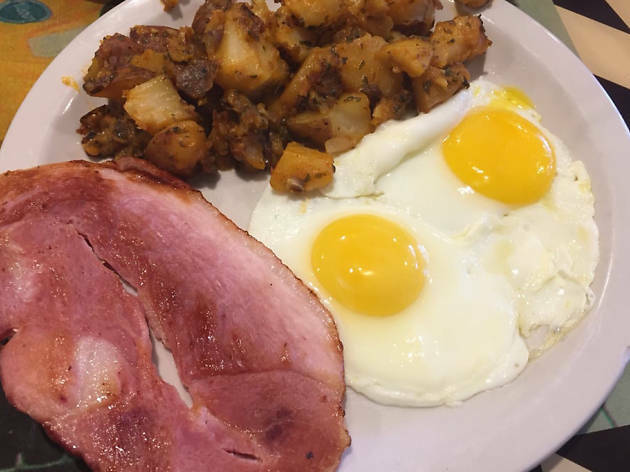 Eggs with corned beef hash and ham steak share the menu with hot cakes and biscuits. The diner might look familiar, too—it was featured in the Academy Award-winning film Moonlight. One of Miami’s longest-running restaurants, S&S recently moved locations from its historic perch across the street from the City of Miami Cemetery, where it had been slinging up griddle-fried goodness since 1938. 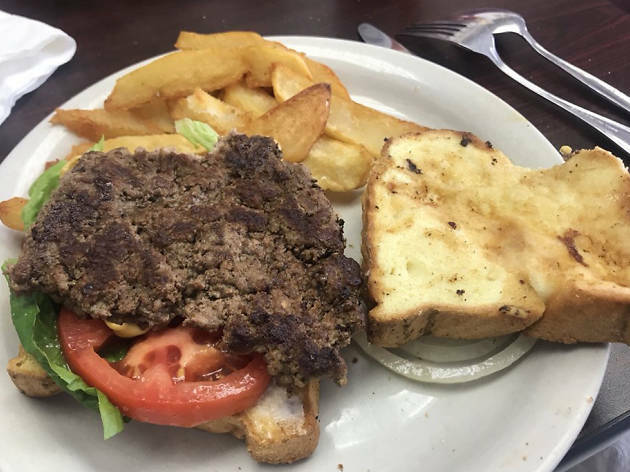 Although the horseshoe-shaped lunch counter didn’t make it in the transition, the juicy patty melts, affordable egg-y dishes, meatloaf and London broil most definitely did. Word to the wise: the half-dozen tables in the dining room tend to fill up quick. Get there with some time to spare, queue up in line and let the irresistible smell around the joint do the talking. Nothing beats a home-cooked dinner at grandma’s house, but Amelia’s 1931 is a close second. A meal at this cozy Cuban diner is like venturing to your very own Abuela’s house: family photos, vintage tchotchkes and a stainless-steel counter lined with retro diner stools pull together the look of the space. Loaded Cuban tots topped with pulled pork, smoked brisket sandwiches and fried rice with wild boar sausage round out the gut-busting menu. 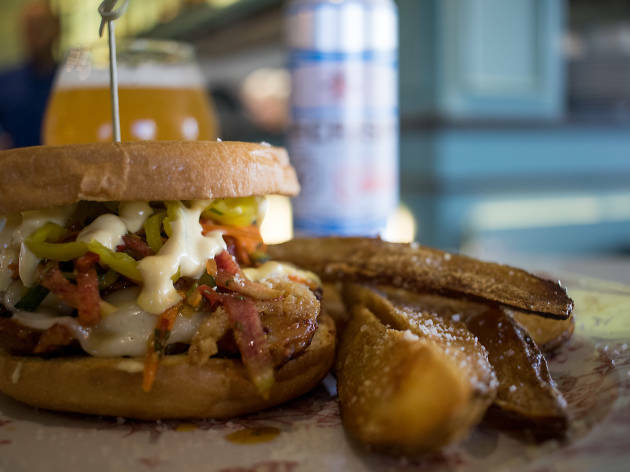 Hangover cures don’t get much better than a loaded greasy omelette paired with one of this joint’s epic bagels. And for that reason alone, you’ll usually find a line snaking its way out the door and onto the sidewalk on Saturday and Sunday mornings. And there’s no mistaking who Coral Bagels roots for come game time—vintage University of Miami photos and paraphernalia line the walls and shelves. Gators and ‘Nole fans, you’ve been warned. Miami Springs is about as Americana as Miami gets. 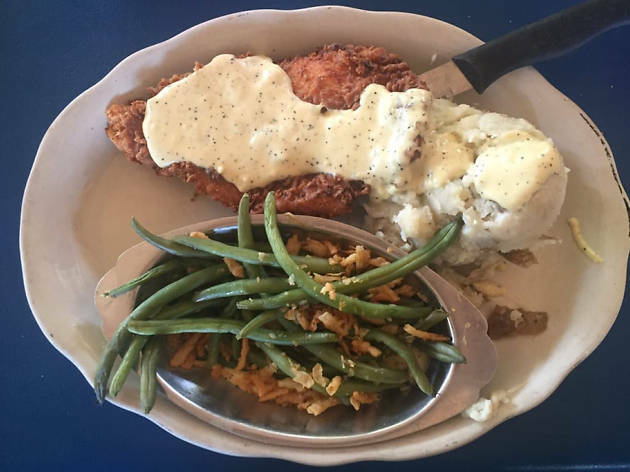 And tucked within this quaint, throwback little community is a funky diner that’s not skimping on the fixings—including bacon jam (on fry biscuits, naturally), chicken fried chicken and peach cobbler. The vibe here is decidedly a bit more tropical than your average diner. There’s a chickee hut that covers the patio and a lush garden with wildflowers and eclectic knick-knacks scattered about. But inside, you’ll find some traditional diner staples like stainless steel tables and a chalkboard covered with the day’s specials. Built in 1948, this Art Deco diner spent most of its life serving traditional American food in Pennsylvania. 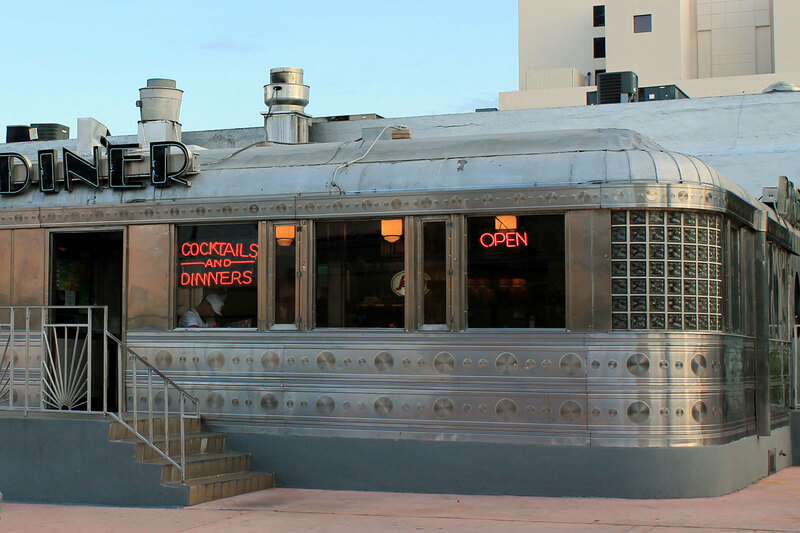 Fast forward 44 years, and the dining car was dismantled and rebuilt in South Beach, where it still stands today. 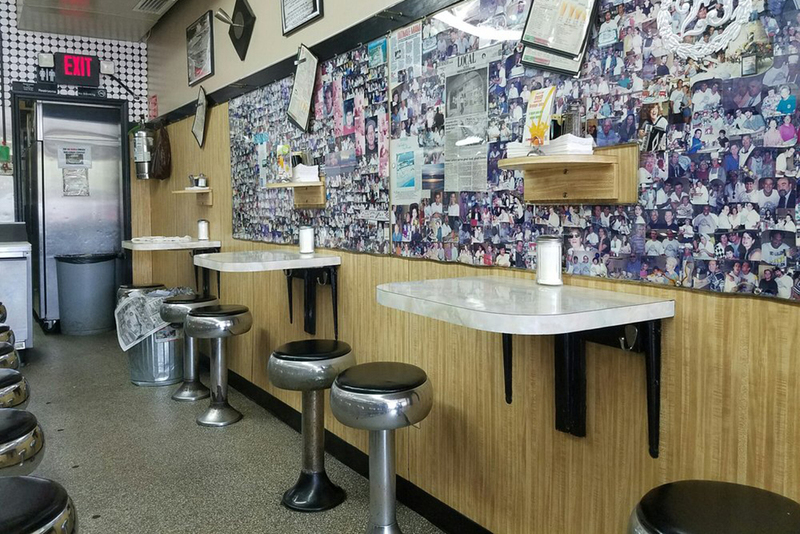 You can get your fill of milkshakes (they have 26 kinds), chili, burgers and hot sandwiches around the clock here, as the diner stays open 24 hours a day. In the mood for pancakes and eggs at 5pm? 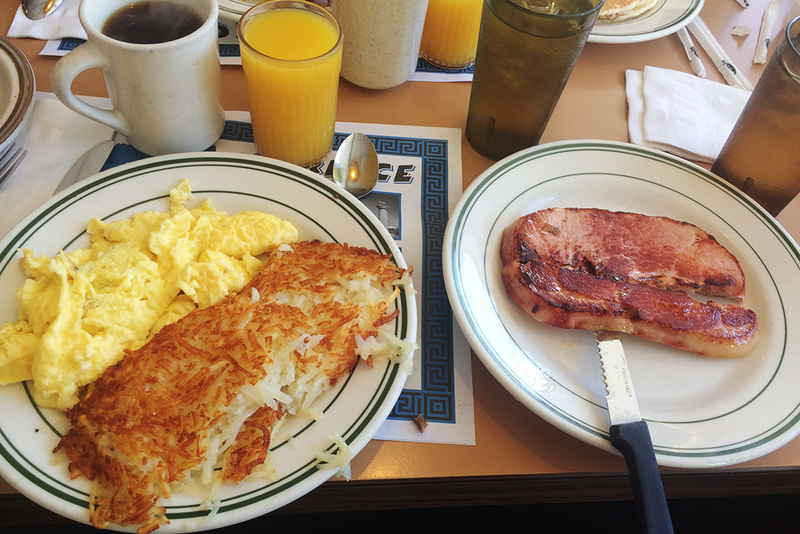 The 11th Street Diner has you covered—breakfast is also an all-day affair. 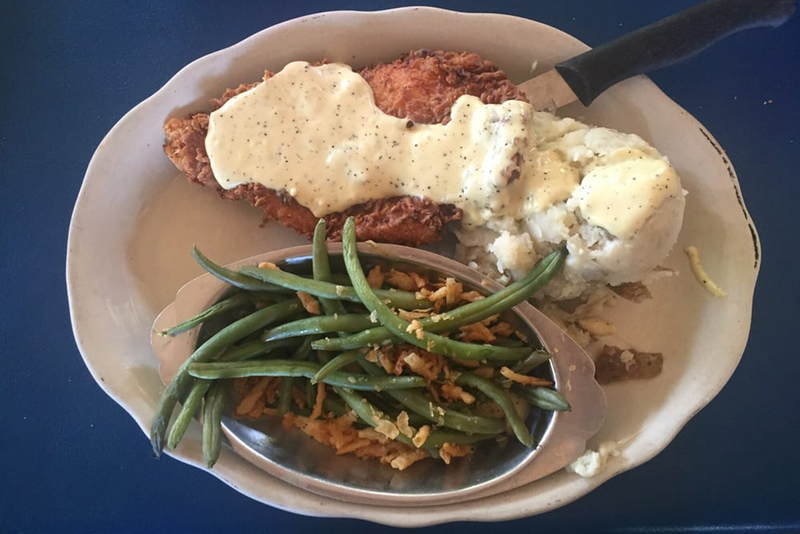 Serving up classic American diner food and homespun Southern fare, Walter’s counter never fails to disappoint. 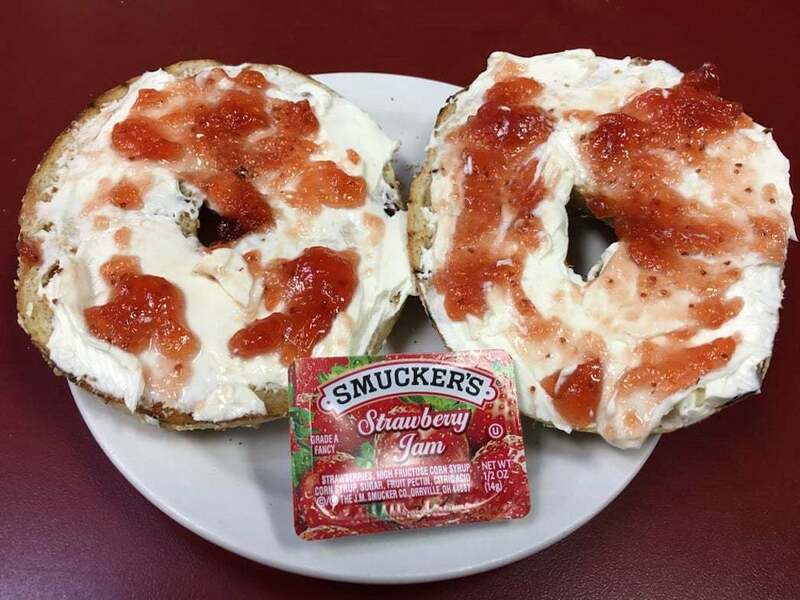 With a storied history that traces back to Huntington in Long Island, the restaurant, which was founded by the now late Walter and Jo Bergamo and is run by their daughter Grace and her husband Lendy, has a long history of making customers happy with its generous portions and soul-warming food. 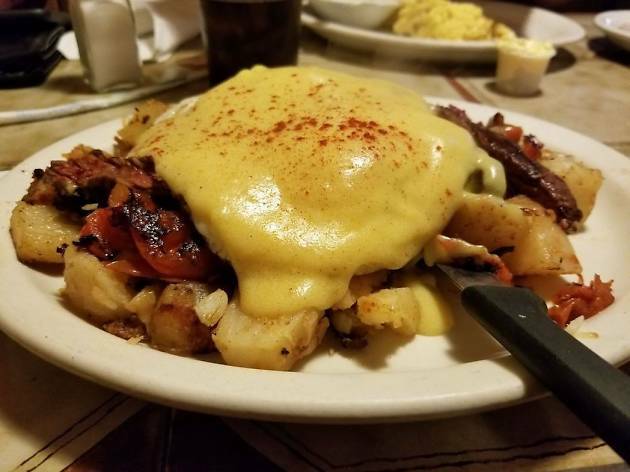 Walter’s vast goes beyond the typical breakfast staples, detouring in favor of dishes like the redneck Benedict smothered in sausage gravy and the seafood omelette. 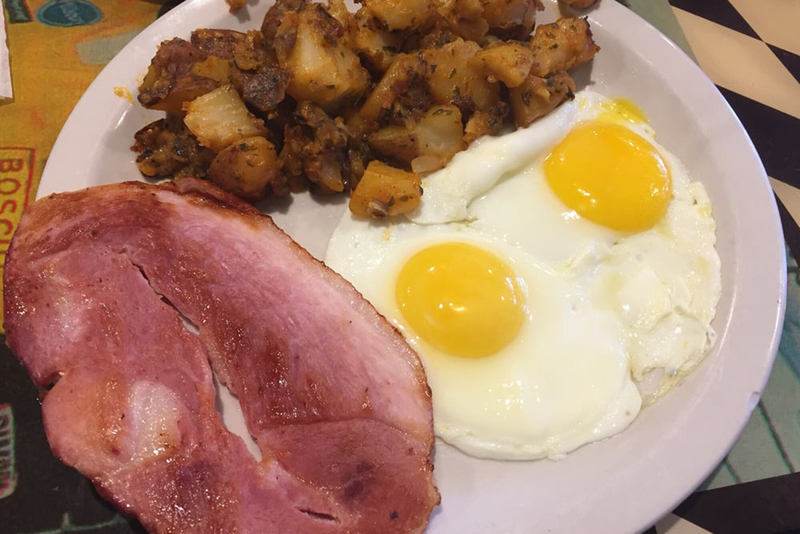 Tucked away in an unassuming strip mall in Key Biscayne, Donut Gallery has been quietly serving up generous portions of classic American diner fare for over 40 years. Sidle up to the counter at this no-frills joint and order up a glass of fresh-pressed orange juice to go with the Ted’s Special—that’s bacon, ham, cheese, tomato and egg on an open-faced English muffin. But be sure to bring some bills—this is a cash-only establishment. 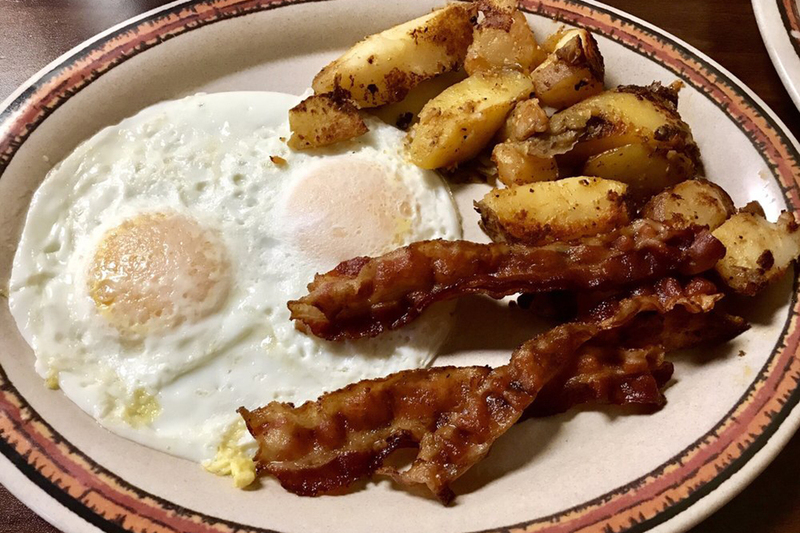 Photograph: Courtesy Yelp/ Farah M.
Not to be confused with Chuck Wagon, this longtime Pinecrest diner has been serving its all-day breakfast to locals looking for some down-home fare. 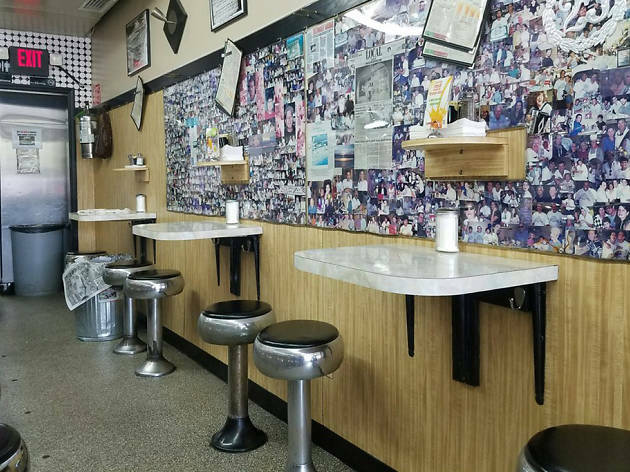 A long counter outfitted with stools flanks a row of cozy booths packed with hungry guests looking to fill up on hot cakes, eggs Benedict and catfish ‘n’ eggs. The walls boast an eclectic assortment of old advertisements, comics, photos and even antlers. But that only adds to the charm. Go big or go home—that’s basically Big Pink’s motto. And when dining at this South Beach institution, it’s a wise idea to adopt that mantra as well. On the weekends, when the retro diner stays open until 5:30am, you’ll find all manner of tourists, locals and late-night warriors loading up on gut-busting comfort food. 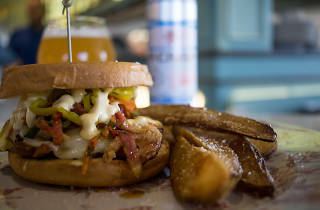 There are over 200 items on the menu, from buckets brimming with corn dogs and sweet potato fries to mouthwatering 10-ounce burgers topped with crab cakes and mac ‘n’ cheese. Driving out to Kendall kind of feels like venturing into the wild west—why not embrace the feeling and make a breakfast out of it? Enter: Chuck Wagon. It’s like the Oregon Trail, minus that pesky dysentery. You’ll even find a makeshift schooner-turned-cash register at this Western-style diner. 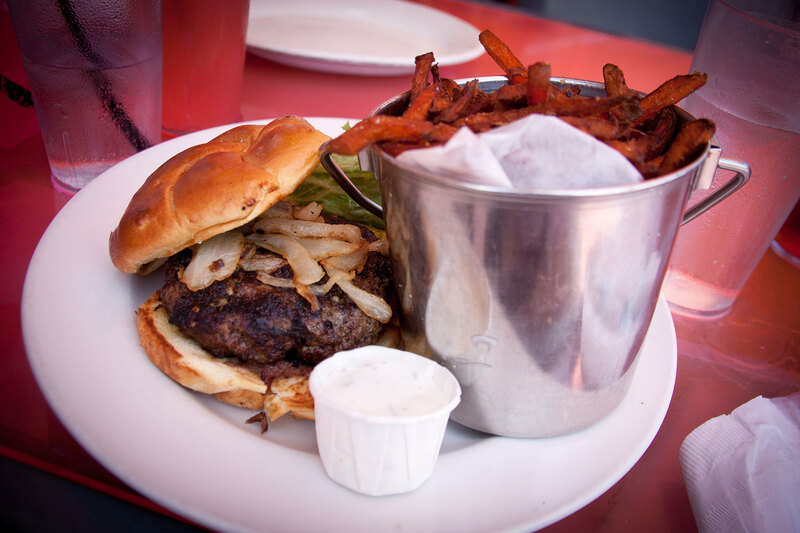 But don’t let that distract you from the affordably delicious grub here. Three-egg omelettes with home fries, biscuits, waffles and even liver and onions will make your sojourn worthwhile. 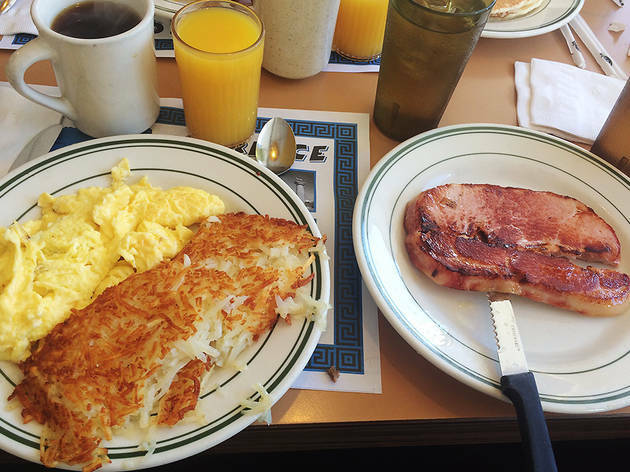 Looking to upgrade your diner breakfast?